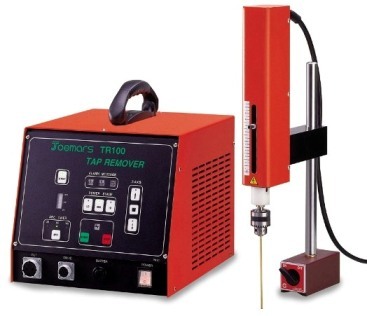 The TR100 is a fast and efficient way of removing broken drills and taps without any damage to the host component. This portable unit uses a single phase power supply and ordinary tap water as the dielectric medium to achieve cost effective results. Eurospark Ltd are the sole importers of this product and provide the service and back up for all machines sold.